“Although October 2017 officially marked our 40th birthday, we’ve been celebrating throughout the entire year with a significant investment in new machinery that will help us continue to grow and thrive in the architectural glass sector. At the end of summer, we started up our new Glaston RC350 tempering furnace that allows us to deliver larger oversized glass and a wider portfolio of coated glass to better serve our customers,” says Graeme Hawes, Managing Director of Peterlee Glass Company Ltd., Peterlee, County Durham, UK. Founded in 1977, near the Durham Heritage Coast, Peterlee Glass (PLG) has grown from a local glass glazing service to a specialist in providing architectural glass products for retail and domestic use. The company has extended its reach from the village of Peterlee to customers nationwide. 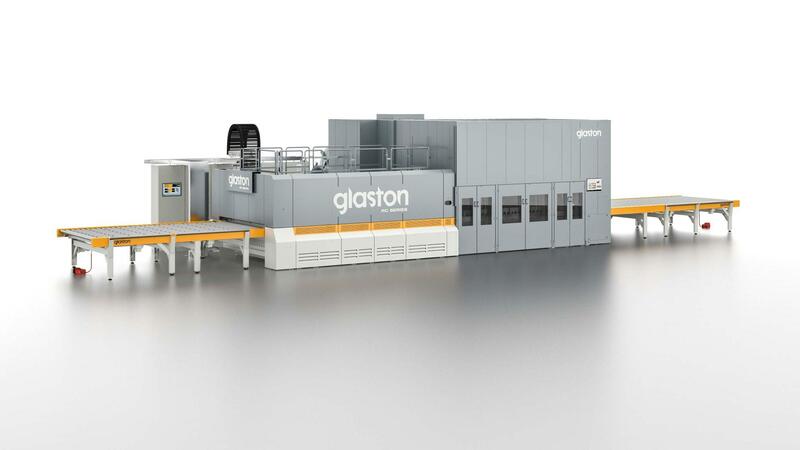 Now after four decades of success, the company decided to increase production and boost sales by moving to a new factory and investing in specialized processing equipment, including Glaston’s RC350 flat tempering glass line. Other new equipment includes a vertical CNC station along with cutting and washing machinery. The new machines will enable PLG to offer oversized glass – to drive new sales growth, streamline production, improve productivity and reduce lead time. #AskGlaston Episode 50: Is it possible to re-temper glass that has already been tempered? #AskGlaston Episode 48: How to avoid edge kink in tempered glass?